Do Pavers Need To Be Sealed? This is one of the first one of the first questions were asked, before or after installing a new paver patio, driveway or pool deck in Denver. Our opinion is no! Pavers are durable and as natural and beautiful as most stones found in nature. Without being sealed they’re low maintenance and and they will retain their natural colors for generations. Pavers can last more than a lifetime if maintained properly. Maintenance usually involves simply pressure washing them once a year. Why Seal Pavers? These are some of the reasons given for sealing pavers! Pavers or pave stones are naturally beautiful and with a few exceptions, like stones in nature they don’t glow or shine. Some people will tell you that they won’t fade overtime if their sealed. While pavers resist fading more than any surface exposed to the sun 24/7 they will fade some. While sealer will offer some protection from the weathering caused by UV rays; everything and everyone (US) experiences UV degradation from extended exposure to the sun. While concrete pavers are highly durable, the colored pigments in pavers can slowly fade over time form UV ray exposure. Sealing the pavers will help keep the paver’s colors brighter but unlike stamped concrete that must be resealed every few years, pavers don’t. Pavers don’t need enhancing, they’re beautiful the way they are. Paver sealers give pavers a very un-natural Wet Look that some people love. If you love the wet look then you should seal your pavers! We always give our customers an on-site demonstration of what the pavers will look like when sealed. So you can make up your mind after seeing them sealed. Sealers have the effect of making pavers less porous, which in some case can be a problem if the area is small and there are drainage issues. Sealing pavers, in some cases will make the cleanup of spills easier. When Should Pavers Be Sealed? 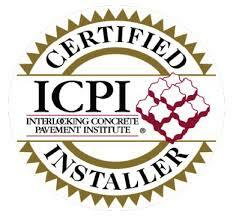 Efflorescence is a temporary problem common to all concrete products. 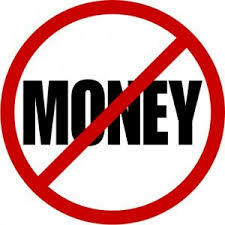 Many paver manufacturers will tell you to wait at least 90 days or until all signs of the efflorescence are gone. efflorescence is a white, dusty-looking build up in all concrete that will go way in time. The solution is to let the concrete pavers breath, which it can’t do if if it is sealed. If you are going to seal your pavers then there are some steps that must be followed. We always tell homeowners that sealing pavers is not a DIY project! There are a lot of real problems, many of which that can’t be corrected by a seal job gone wrong! You must make absolutely sure the surface of the pavers is dry, with no rain in the days before and after sealing. Thoroughly clean the pavers removing all debris and stains. You must then sweep the pavers carefully with a broom, being careful not to sweep the sand out from between the pavers. Pull any and all weeds that are growing between the pavers. Apply the paver sealer with a low-pressure sprayer, covering the entire surface of the pavers. This is much better than rolling the sealer on!. Use a squeegee to make sure the paver sealer gets into the joints. Let the pavers dry for for at least three hours before walking on it. Wait a full day before driving on the pavers! When should the pavers be Re – Sealed? Pavers will have to be resealed to maintain the high gloss look. This is what we consider to be the worst thing about sealing the pavers. 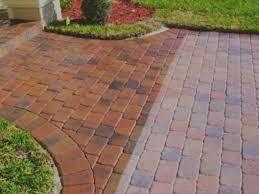 Always use a water base sealer and a special cleaner for the pavers. NEVER ACID WASH PAVERS!! You’ll want to use the same sealer that was used the first time. You can’y mix water and solvent based sealers. CAUTION: When sealing pavers that have been sealed before you must not mix solvent and water based sealers. 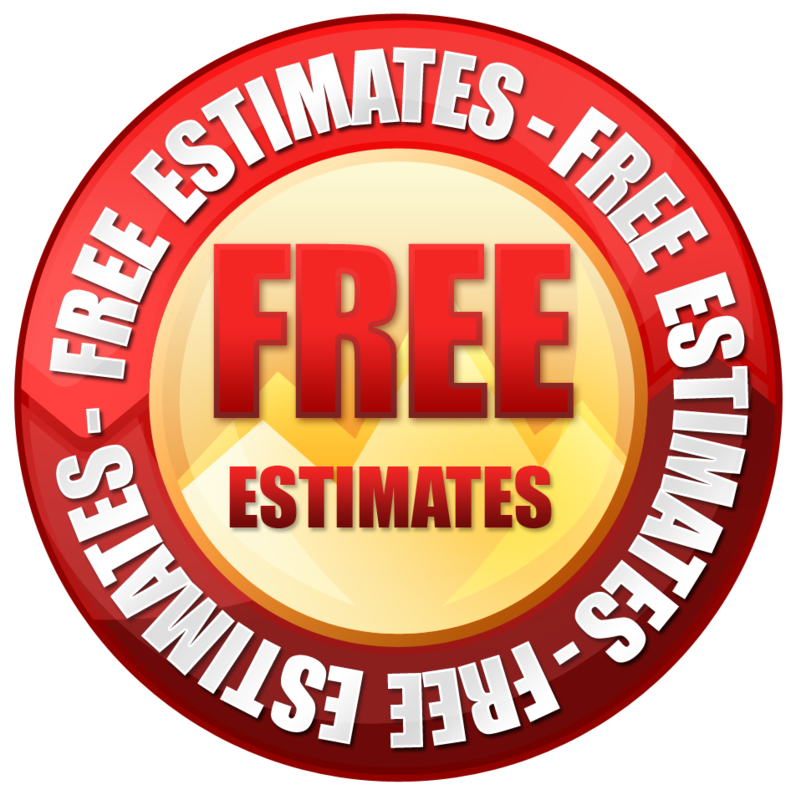 We Recommend Pavestone Paver Cleaning and Sealing Products! Please call us anytime at Stone Creek hardscapes in Denver for questions about sealing pavers.